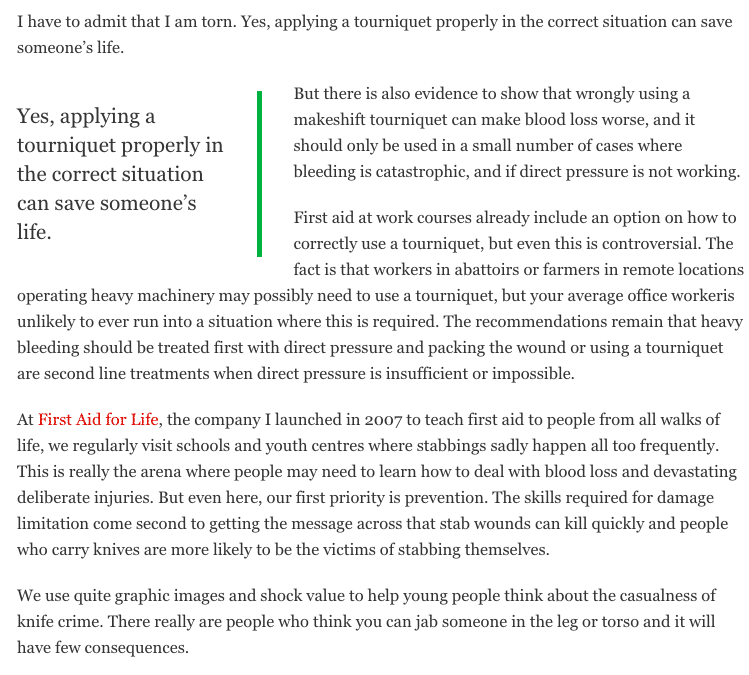 Hippocratic Post – To tourniquet or not tourniquet? 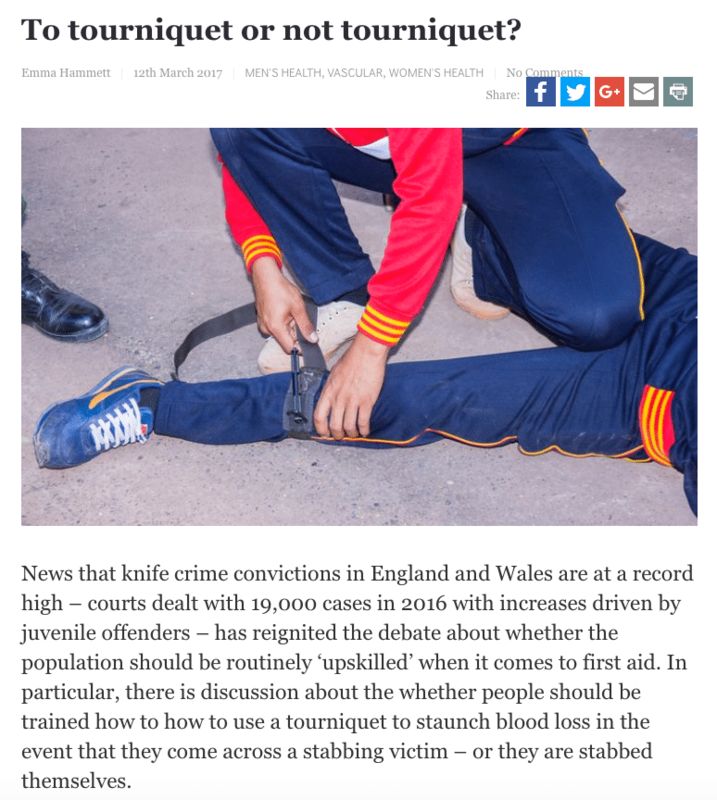 There is discussion about whether people should be trained in how to use a tourniquet to stanch blood loss in the event that they come across a stabbing victim – or they are stabbed themselves. 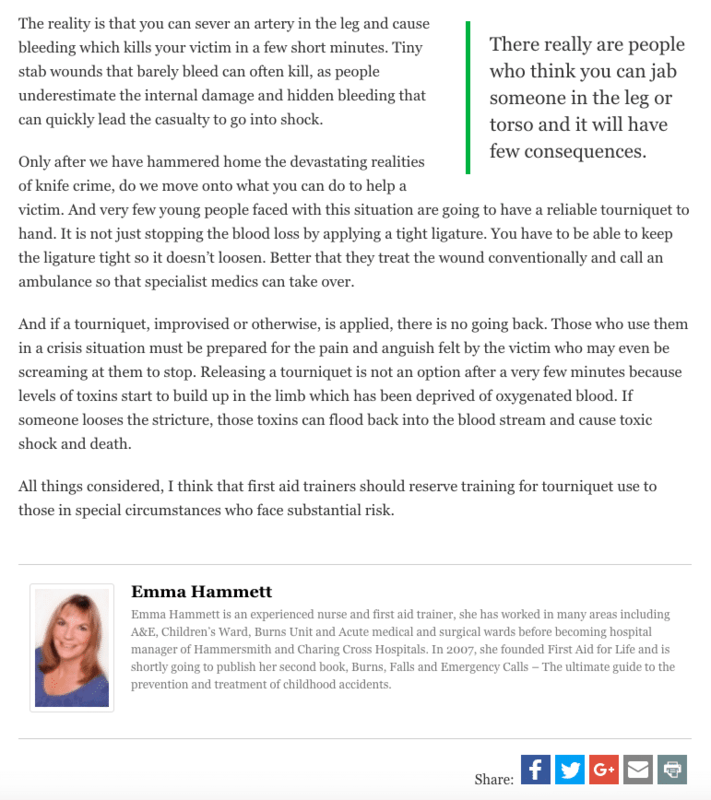 Emma Hammett shares her expertise and opinions on the debate.